We believe that youth are important! They are made by God, they reflect the image of God, and they have the potential to love God. At Trinity we are striving to help them build a solid faith foundation, cultivate intentional relationships, and to partner with parents. We realize that time is importing but also fleeting, which is why we want to meet youth where they are. By the time a youth enters 6th grade parents only have 364 weeks left until they graduate High School… and it goes by fast! As a youth group we get about 40 hours a year with the youth, which is why we have to make it count. Trinity Youth group is a great and welcoming place for all 6th-12th grade youth, We love to have fun, learn and grow together. We hope you will join us! We Meet Every Sunday night for Youth Group 5:00-7:30pm (unless otherwise noted). At youth we serve dinner, play games/icebreakers, large group lessons, and small groups. Sunday School is Sunday mornings at 9:45am, we have both a middle school class and high school class. We also do other events and programs, check out our calendar of events and dates bellow for more information. COST: $200.00 per youth. DEADLINE to sign up and nonrefundable deposit ($100.00) due: February 28th 2019. Space is Limited. You may pay the deposit ($100 per youth) or full amount ($200.00 per youth) any time online under “Donate Now” please be sure to mark it for YOUTH and email trinityfinance@trinityumc-jax.org to designate “CCC 19 Youth’s Name”. You may also pay deposit with cash or check to Michelle Oketcho. This Summer we went on two mission trips. Our first was our local mission trip with Carolina Cross Connection June 18th - 24th. On this mission trip we broke into Christian Mission Groups (CMG's) and went out into the community to do home repair, yard work, and anything else that need to be done. We spent time with the homeowners getting to know them and their families. This was such a wonderful time for our youth as they got to see God work in big was, locally. We made many new friends and had lots of fun back at camp with other local church groups. We plan to go Next Summer, so be on the look out for the dates! 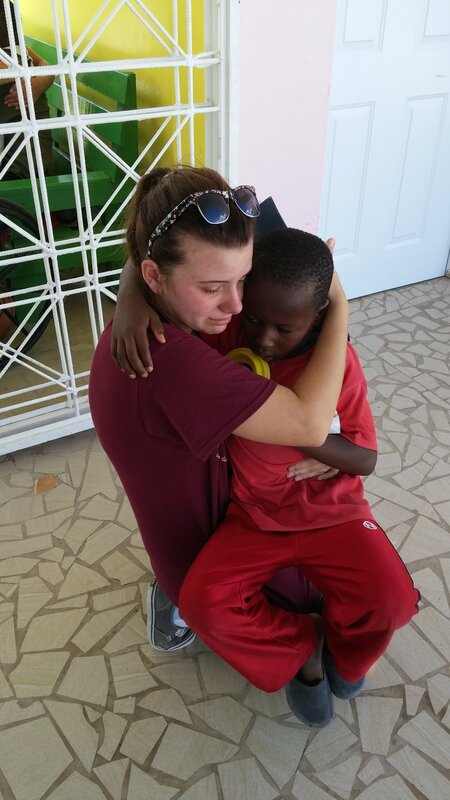 Our second Mission Trip was our International Mission trip to the Bahamas. 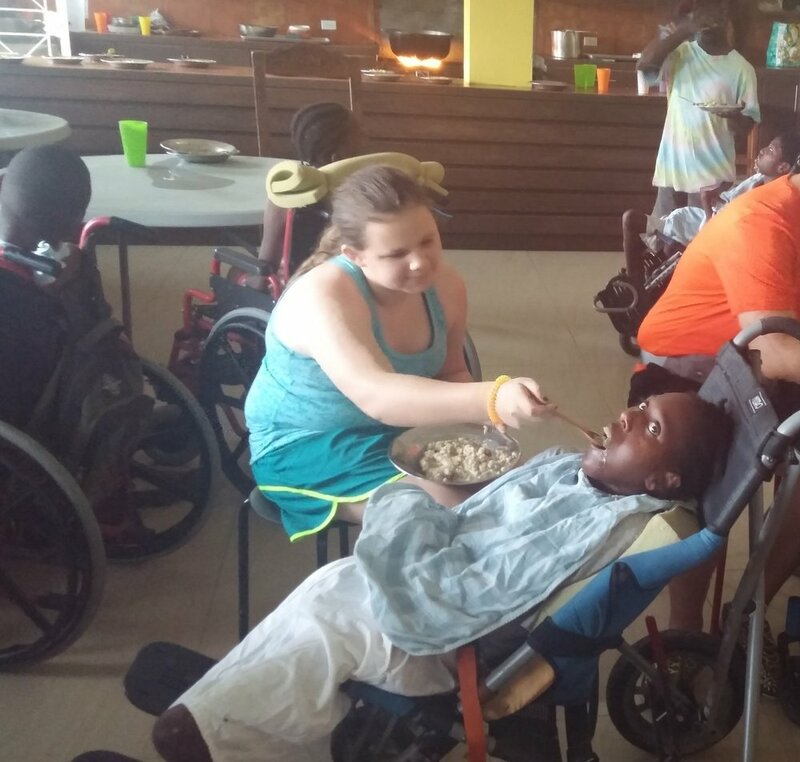 We went to Eleuthera, Bahamas and worked with Bahamas Methodist Habitat. This is a Methodist based organization. As Trinity Youth group second international mission trip it was very different then our first. While there we did home repairs, we reproofed a families home for them. 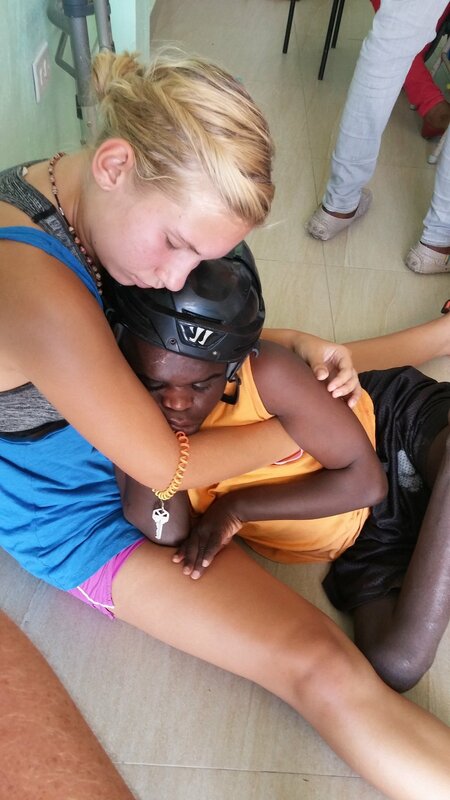 While this was very hard and hot work we learned that God has called us to serve others in many different ways. We saw God working in our site leader Alex, as he was always there for us, patient, and very giving of himself. On our last work day, Alex went to get us all a soda, however he could not afford it so her got every one there a frozen cool aid. This was such a selfless act that touched our hearts in ways we will never forget. Our Next International mission trip is in the works of being planned as we look at going back to Haiti, be sure to join us! On Sunday, February 5th, our youth group came together to lead all three worship services at Trinity UMC. The theme, Love: How God loves us and How We can love others. For weeks on end the Youth Group met together, planned and worked on Youth Sunday and they did it all on their own with the guidance of our SGL's ( Small Group Leaders). The Youth showcased their gifts and talents with singing, playing their instruments, skits, speaking and so much more! We are so proud of the youth and the heart that they put into showing the love of Christ! 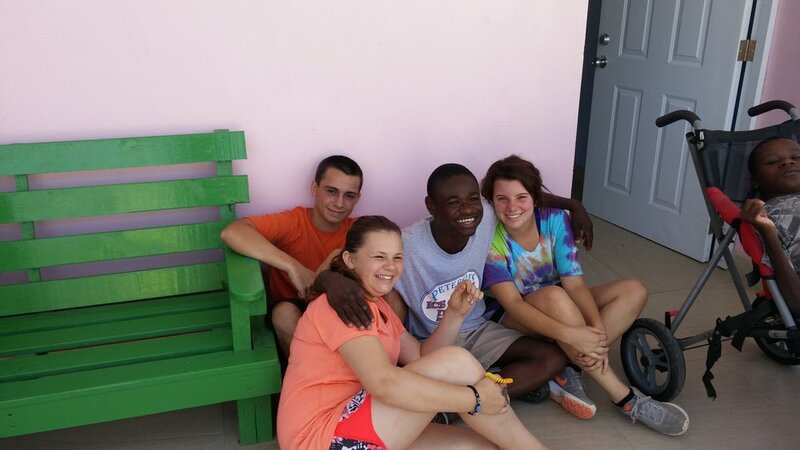 This Summer seven of our youth and three leaders made the journey to Jacmel, Haiti. While there we worked at Wings of Hope a home for mental and physical disabled youth and young adults. Our main goal was to lead VBS and shine the light of Christ. We also helped during meal time, participated in worship every morning, enjoyed outings, and just spending time and building relationships with those there. 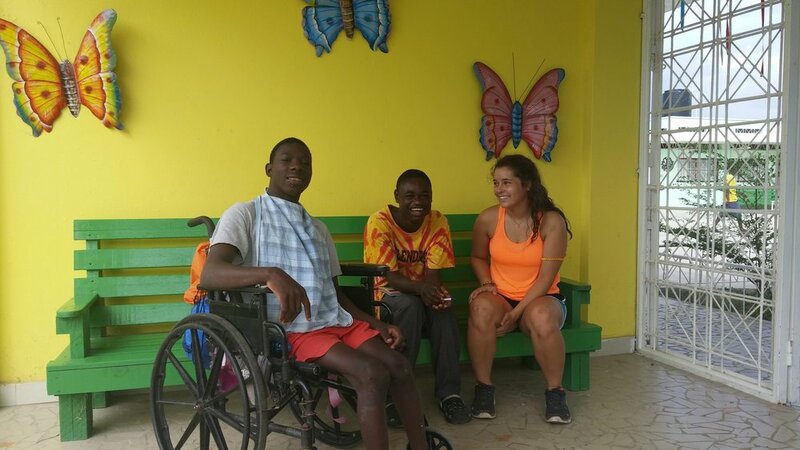 "This was such an uplifting trip! Defiantly a life changing trip as I got to see the things I could do not only for myself but for others around me"
"My over all experience was breathtaking! Being able to be here and know that I can make a difference in the world was defiantly taking a risk in a good way"
"Life Changing and eye opening, Has made me see things differently and has opened my heart to others and those I see in the streets"
"One big family, that made us feel a part!"